This shouldn’t be a surprise to long-time members of the Maine Cheese Guild — back in 2011 this was our Holiday cheese, and as I recall those who attended (and helped judge an informal competition) were really impressed at the variation and different creative flavors that members came up with. Could this be the next yogurt? As someone who began selling whole milk yogurt in glass jars in 2006 — when Stoneyfield ruled the high-end dairy shelves — I think it could. There is a tremendous difference between the industrial product and the artisan. Factory cottage cheese is often instantly set and acidified, with a texture that’s manipulated by thickeners and other additives. The artisan product, if it’s honestly ripened overnight (as they do at Cowgirl), is a completely different product with nuance and depth that can’t be added instantly in quick-made batches. Another factor in its favor is that there can be such a wide variation on texture and curd-size. Depending on how it’s cooked and washed then dressed you can have a product that is almost solid and granular to silky smooth and practically spreadable. Add to that (like yogurt) this is another cheese that will easily take to flavorings if that’s what you need to stand out. I can also speak from experience selling my own version of cottage cheese at the Belfast Farmers Market last year (2017). The experience of offering samples to customers was very similar to convincing folks to try my yogurt in 2006 — most people were reluctant to taste it, but once they did their eyes opened wide and it seemed like 9 out of 10 people who sampled it bought a container (or three). On the downside: there is definitely more work involved than with yogurt. The overnight set (which is low labor, but ties up equipment) after heat-treatment; and then the cut, cook, and wash adds at least an hour of labor above what it takes to fill and incubate jars. This product lends itself to the largest batches you can make. Given the additional labor can you price it above the current wholesale price of artisan yogurt (roughly $20/gal of initial milk)? According to the NYT article Cowgirl is getting $9.06/lb (using certified organic milk), and a gallon of milk will make roughly 1.5 pounds of curds. (I charged $5 per 4 oz. without complaint from customers after they tasted it.) However, as with Cowgirl, cottage cheese can be made with skim milk and then add a bit of cream added back as “dressing” after the curds have been washed. As another idea I experimented “dressing” curds with olive oil after adding spices to the washed curds, creating a very different savory product. Perhaps this new dairy trend is perfect for someone who needs cream for another product and might like to add an artisan cottage cheese product to their mix? Or is it simply going to be what every fashionable host wants on their dinner party menu? We’ll see. 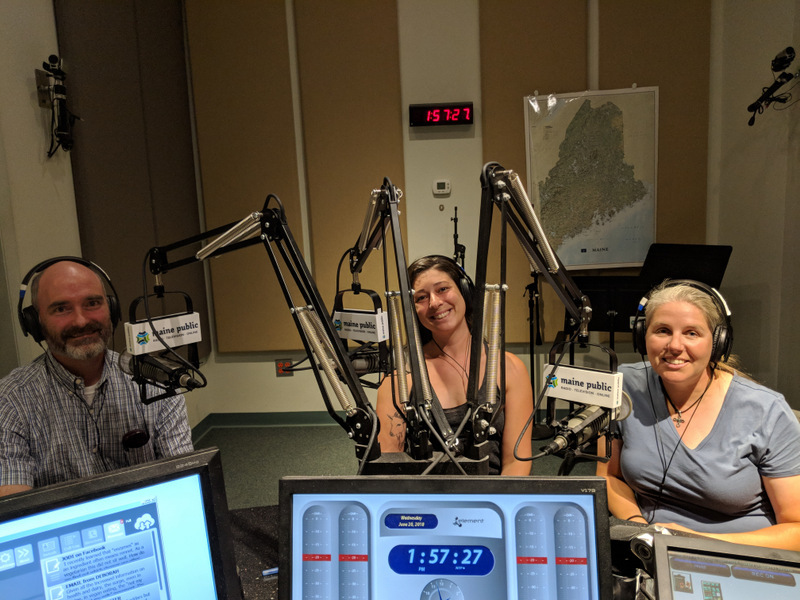 President Jessie Dowling (Fuzzy Udder), Heather Donahue (Balfour Farms), and Eric Rector (Monroe Cheese Studio) sat down with host Cindy Han to talk about Cheese in Maine. We got to talk about how we got started, why there are so many new cheese makers here, and the work that the Guild does. 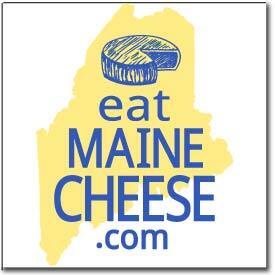 Quite a few people called in with interesting questions, and Arlene was able to call in and update everyone on the Maine Cheese Festival details. It seemed to go well — what did you think?